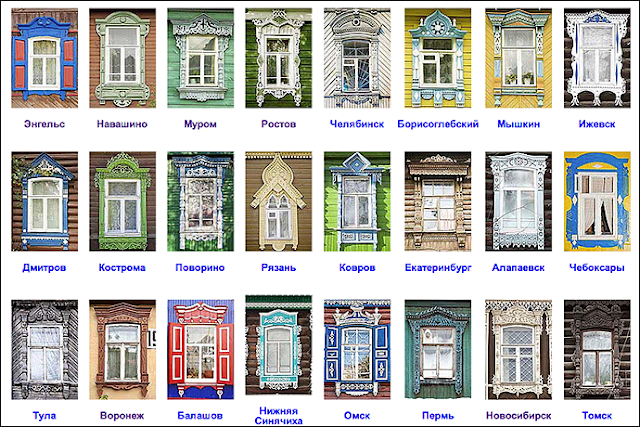 ABC Russian: Traditional Russian window casings. Наличники- a window casing - this is wooden carving window frame that you can find at old traditional Russian houses in small villages. It originates from the windowsill and wraps up and around the window. Photographer Ivan Hafizov decided to create the virtual museum of traditional window casings. There you'll find thousands of photos of various Russian window casings. They came from 20 Russian regions. Have a look! It is very interesting!